Today was a good day, a very good day that made my birthday all the more special. 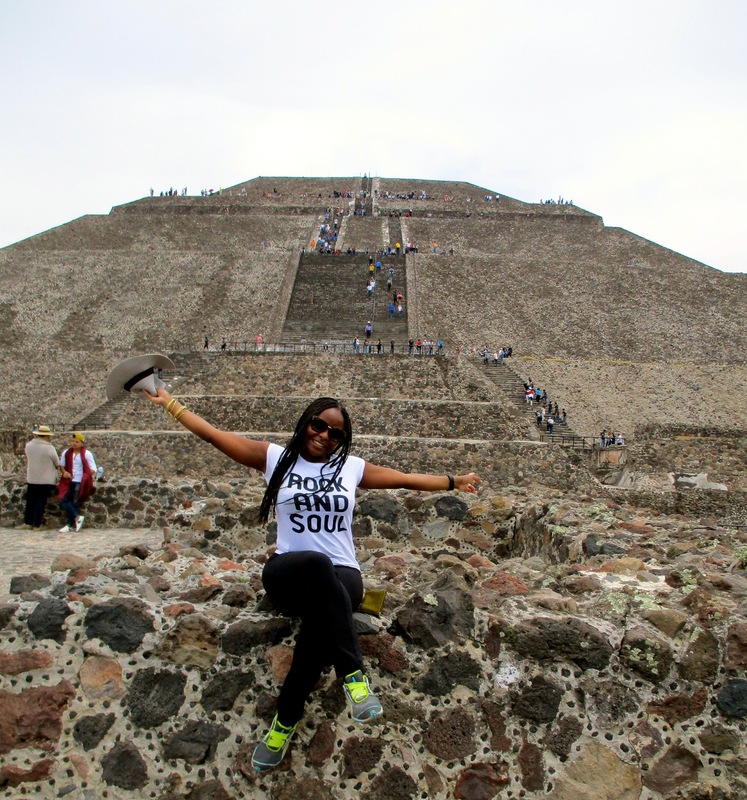 I had made plans to celebrate my 36th birthday in the famous pyramids of Teotihuacan and I was not disappointed at all. Teotihuacan is considered one of the world's greatest archeological sites and is located about 50 km/31 miles from Mexico City. It was an ancient city that was built hundreds of years ago, pre the Aztecs and no one knows who exactly built the city and the structures (pyramids) that are still in existence today. The Aztecs actually came upon the city when it had been in existence for more than 1000 years. They were so awed by the construction that they believed that it was the site of the beginning of the world and it became a holy city for them, they actually incorporated it into their religion. Teotihuacan had fallen by the time the Aztecs came across it and it's not precisely known why or what happened exactly. Now you understand with that historical background why I was so fascinated and interested in visiting the site and spending my special day there. 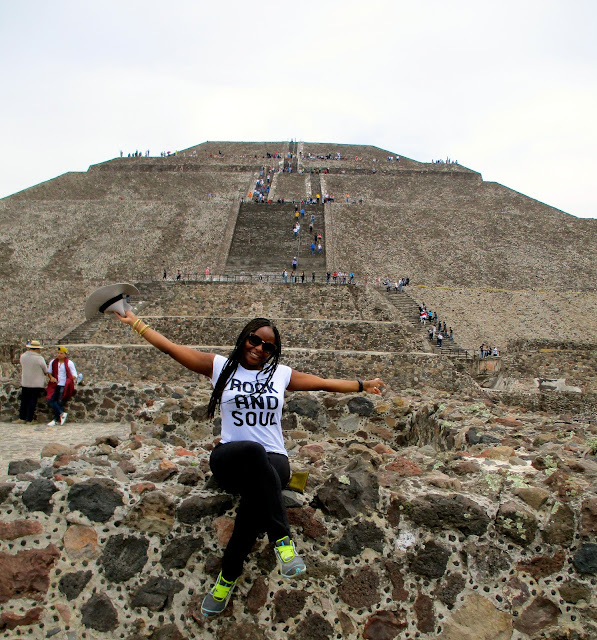 PS: There is so much history so I just skimmed over the information as a brief summary of Teotihuacan. I booked a tour with these folks and I was not disappointed at all. We left in the morning because the tour would take a whole day so we needed to start early. The guide was super entertaining and kept the group within the tour laughing through out, actually everyone in the group ended up befriending each other and I met some really fun folks. I took lots of pictures so I hope you enjoy the ones I will share with you. 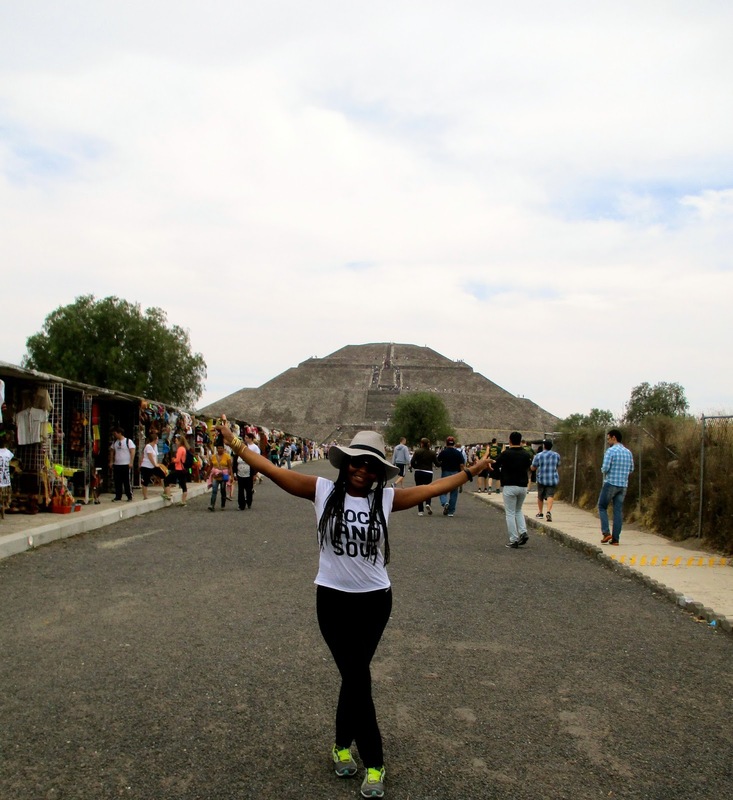 At the entrance to the pyramids. What you see behind me is the sun temple which is the biggest structure. Met these two gentlemen who had flown in from Guadalajara to check out a rolling stone's concert in Mexico city. The guy in blue was also celebrating his birthday today so we sort of bonded over that. They were really cool and told me that if I ever visit Mexico again I should check out Guadalajara because it's very beautiful and that I shouldn't worry about lodgings because they would welcome me with open arms..........my husband will definitely be included and welcome. Met these four Slovenian guys who were also pretty cool and funny. They told me they were traveling around Mexico city before heading to Florida to travel around the state in a rented car. They have a friend from Slovenia who plays for Miami Heat and they were also going to check out his game, they told me his name but I can't remember it because I don't watch sports so I really don't know who is who. This is the view from the sun temple. The climb was actually not as bad as I thought it would be. Going down was actually a bit more trickier because the steps were really steep and it felt like you could easily slip and tumble down. These girls were too sweet, they chatted me up and were so excited that I was a tourist visiting Mexico so they wanted a photo with me. I think they were on a school trip. Next to the sun temple is the moon temple which is a bit smaller. After the tour we went to have lunch and since I had mentioned it was my birthday the guide was so sweet, he went and talked to the folks working at the restaurant and I got a sweet surprise. We (the other guy from Guadalajara and I) were presented with birthday cakes and a mariachi band came to sing for us. 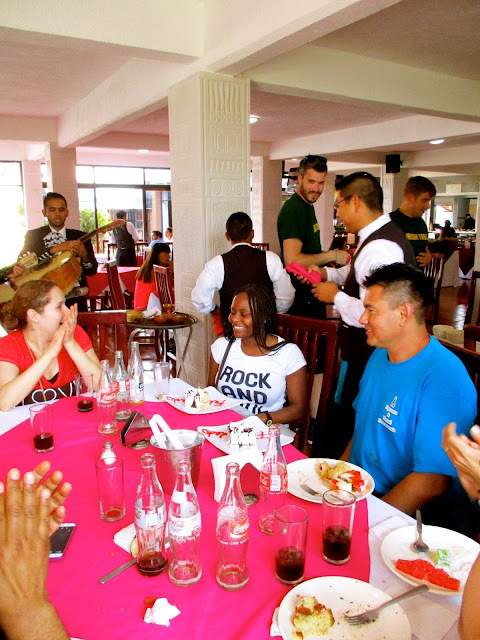 We had a delicious lunch full of Mexican delicacies and being that it was a buffet I was able to sample different dishes. That's it folks, I had such a lovely day and really enjoyed myself. I feel great and I am super happy! Happy 36th Birthday to me. It's almost midnight and I am really tired so there will be no random thoughts of the day, all I want to do is sleep so let me get right to it.